You can spend a great deal of time in Cape May and not tire of it, but if you want to take a road trip, here is a list of Cape May's neighboring towns and nearby attractions. For those of you wondering how far away Cape May is from the destination you have in mind, we've included time estimates to help make your planning easier. What you'll find: Spectacular sunsets, dog-friendly beaches, the Cape May-Lewes Ferry, full-sized Acme grocery store, McDonald's, Big Lots, Domino's Pizza, and a variety of restaurants and bars. How to get there: Take Route 9 north, following signs for the Cape May-Lewes Ferry. Rio Grande, at the intersection of Routes 9 and 47, is a year-round community. It's your best bet for big box stores and late-night tank fillups. What you'll find: Walmart, ShopRite, Aldi, Starbucks, Planet Fitness, PetSmart, Pearle Vision, UPS Store, AAA, Sally Beauty Supply, Ulta (coming soon), McDonald's, Taco Bell, Burger King, Five Guys, Dunkin' Donuts, 24-hour Wawa, Joe Canal's Liquor, Michael's, Walgreens, Lowe's, Bed Bath & Beyond, Famous Footwear, Ross, a good number of year-round restaurants (including Japanese, Mexican, Chinese, diners, pizza, and American fare), and a year-round movie theater. 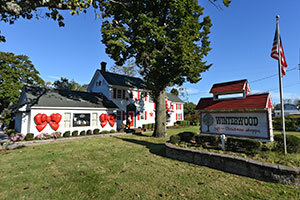 Also home to the original Winterwood store. How to get there: Take the Garden State Parkway to exit 4 toward Rio Grande. 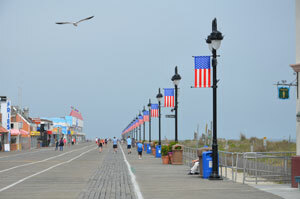 What you'll find: The Wildwoods are home to amusement parks and shops and restaurants along their wooden boardwalk. How to get there: Take the Garden State Parkway to exit 4 toward Wildwood. 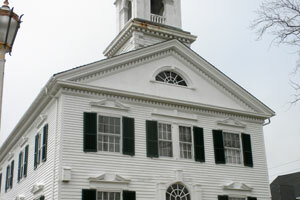 What you'll find: These neighboring island towns are worth a visit during your stay. 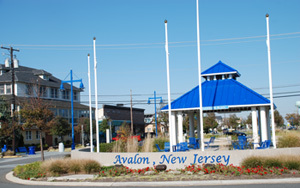 7-Mile Island is home to Avalon and Stone Harbor, charming seaside villages with boutique shopping and dining. Stone Harbor is also home to the Harbor Square Theatre, a restored movie theater. 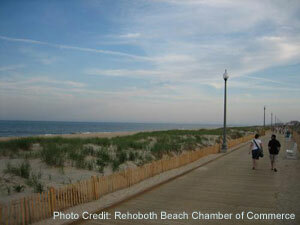 How to get there: Take the Garden State Parkway to exit 10 (Stone Harbor) or 13 (Avalon). What you'll find: Public library, the courthouse, Cape Regional Medical Center, Acme grocery store, McDonald's, Pier 1, Marshall's, TJ Maxx Home, and Staples, a variety of restaurants - including Japanese and Thai, a diner, cafes, sit-down dining, pizza, ice cream, and a tavern. How to get there: Take the Garden State Parkway north to exits 9, 10, and 11. Exit at any of the three. You can also take Route 9 and Route 47 north to CMCH. 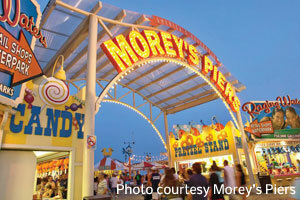 What you'll find: Beaches, restaurants, shopping, and Ocean City's famous boardwalk. How to get there: Take the Garden State Parkway to exit 29. What you'll find: A charming little community located along the water, offering great dining and a famous six-story elephant named Lucy. How to get there: Take the Garden State Parkway to exit 29 and bear right onto US-9. Turn right onto Mays Landing Road (CR-559). It will turn 90 degrees and turn into Shore Road (CR-585). Make a right onto East Maryland Avenue. This will turn into Rt-152/Longport Somers Point Blvd. You'll go over two bridges and end up in Margate. 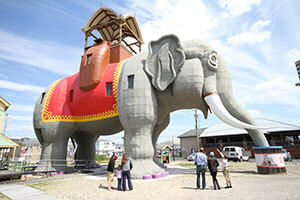 Lucy the Elephant is located on Atlantic Avenue. 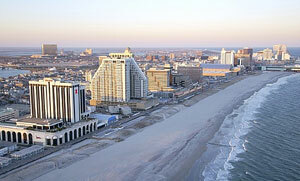 What you'll find: Atlantic City Airport, casinos, outlet shopping, luxury retail, fine dining, live shows, boardwalk with jitneys, and the historic Steel Pier. How to get there: Take the Garden State Parkway north to exit 38, and take the ramp for the Atlantic City Expressway toward Atlantic City. How to get there: Take NJ-47 (Delsea Drive) and NJ-347 N. Take 55 toward Vineland and Millville. 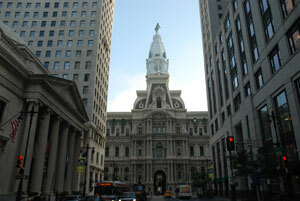 Philadelphia served as one of America's first capitals and is home to a wealth of American history, including the Liberty Bell and Independence Hall, where the Declaration of Independence and the U.S. Constitution were adopted. How to get there: Take either the Garden State Parkway or NJ-55 north. Follow signs toward Philadelphia. 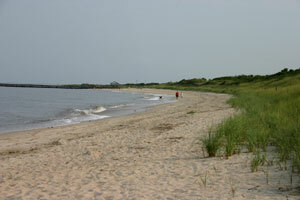 If you're considering relocating to Cape May, you're probably looking for job opportunities. Seasonal positions in hospitality and retail are available from Memorial Day to Labor Day. 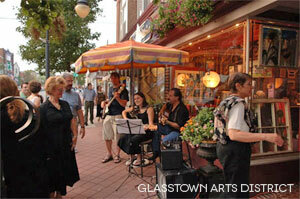 Year-round employment in Cape May is limited and mostly restricted to hospitality and retail. If you seek a full-time, year-round position in Cape May County, you may need to find something in one of our neighboring towns.